Investigating cognitive processes by analyzing mouse movements has become a popular method in many psychological disciplines. When creating mouse-tracking experiments, researchers face many design choices—for example, whether participants indicate responses by clicking a button or just by entering the button area. Hitherto, numerous different settings have been employed, but little is known about how these methodological differences affect mouse-tracking data. We systematically investigated the influences of three central design factors, using a classic mouse-tracking paradigm in which participants classified typical and atypical exemplars. In separate experiments, we manipulated the response indication, mouse sensitivity, and starting procedure. The core finding that mouse movements deviate more toward the nonchosen option for atypical exemplars was replicated in all conditions. However, the size of this effect varied. Specifically, it was larger when participants indicated responses via click and when they were instructed to initialize the movement early. Trajectory shapes also differed between setups. For example, a dynamic start led to mostly curved trajectories, responses via click led to a mix of straight and “change-of-mind” trajectories, and responses via touch led to mostly straight trajectories. Moreover, the distribution of curvature indices was classified as bimodal in some setups and as unimodal in others. 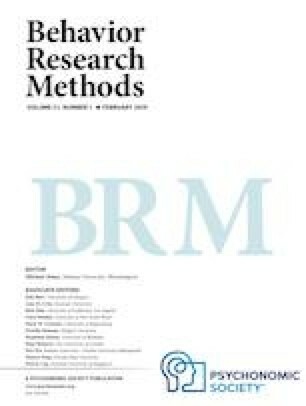 Because trajectory curvature and shape are frequently used to make inferences about psychological theories, such as differentiating between dynamic and dual-system models, this study shows that the specific design must be carefully considered when drawing theoretical inferences. All methodological designs and analyses were implemented using open-source software and are available from https://osf.io/xdp7a/.